Today we are going to talk about retail statement parameters and how they interact with each other and use transactions to create statements. Retail statements are one of the most important aspects of retail operations and a correct setup is very important for any business scenario. Specifically, the focus will be on the parameters that split or group transactions based on properties of the transactions. 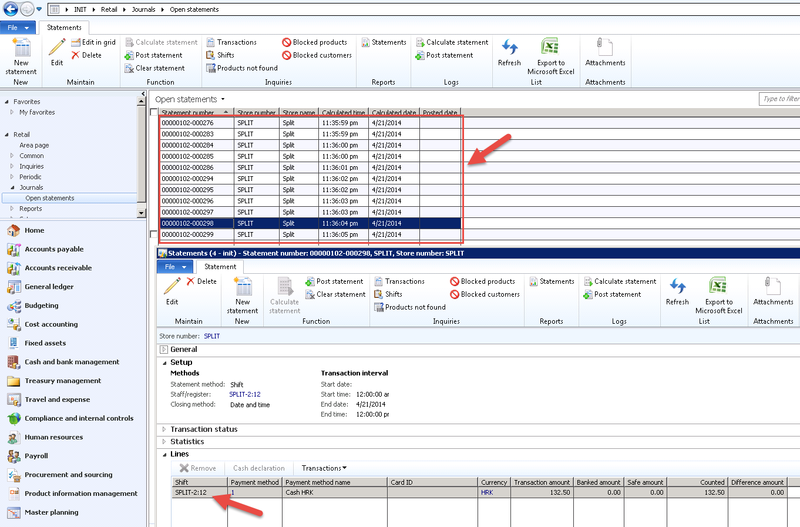 Basically it will group the transactions in the selected transactions interval inside one statement based on the selected method (Staff, POS terminal, Shift) and then by payment method. Following are some examples of statement methods. The second parameter is my “personal favorite” called “One statement per day”. The first time I saw it based on the name and what the official documentation says “a check box that indicates that only one statement will be created each day for the retail store”, I thought great, a parameter that will automatically split all statements by day. Right? Wrong! Steps 4-6 need to be repeated for every store and every day that needs to be calculated which is tedious but there is no alternative in AX. 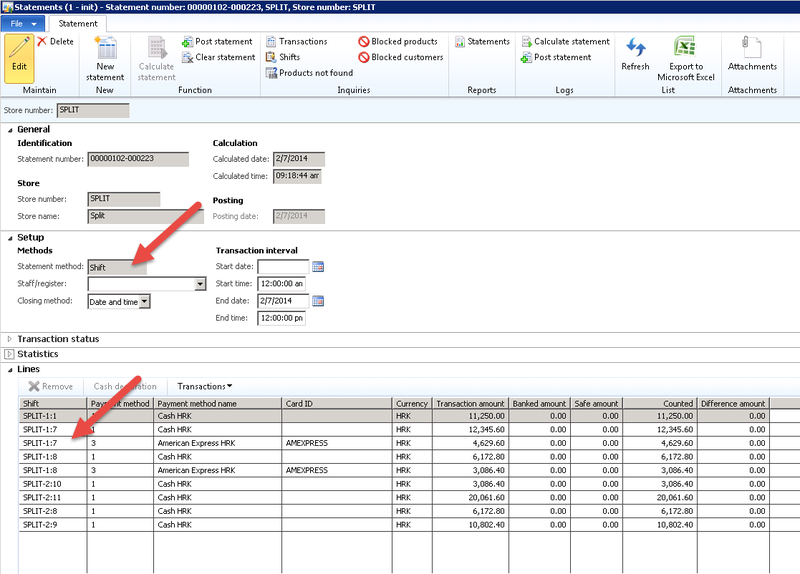 In one of the next blog posts we will make some modifications in the AX periodic job “Calculate statements” to enable and automate automatic statement creation split by day. 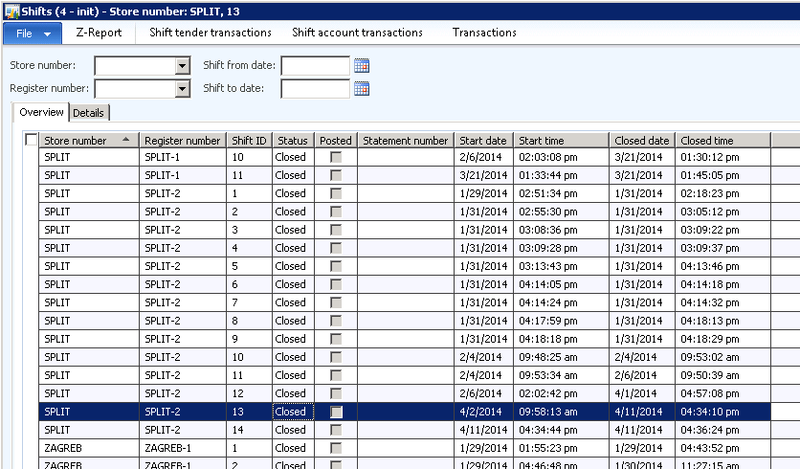 Some of the transactions on the shift are already posted using the “Date and Time” closing method. 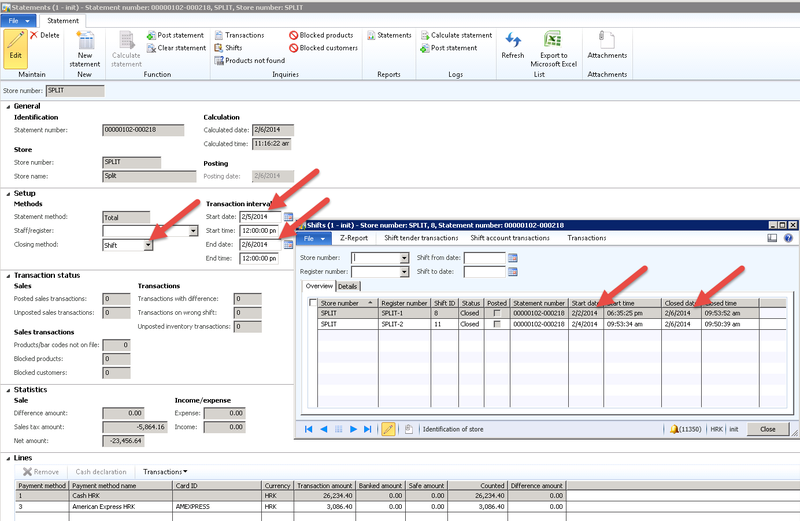 We try to calculate the statement but nothing is pulled into the statement because some of the transactions are already posted. “A store is open between the hours of 8:00 A.M. and 3:00 A.M., and the store is configured with the Post as business day check box selected. The store records transactions between the hours of 8:00 A.M. and midnight on May 31. The store also records transactions between the hours of 12:01 A.M. and 3:00 A.M. on June 1. When the store posts its statement for the close of the business day, a sales order is generated that includes all transactions that were recorded between the business hours of 8:00 A.M. and 3:00 A.M., even though the transactions occurred on May 31 and June 1. The last parameter “Split by statement method” refers to the first parameter in this “Statement/Closing” FastTab which is “Statement method”. 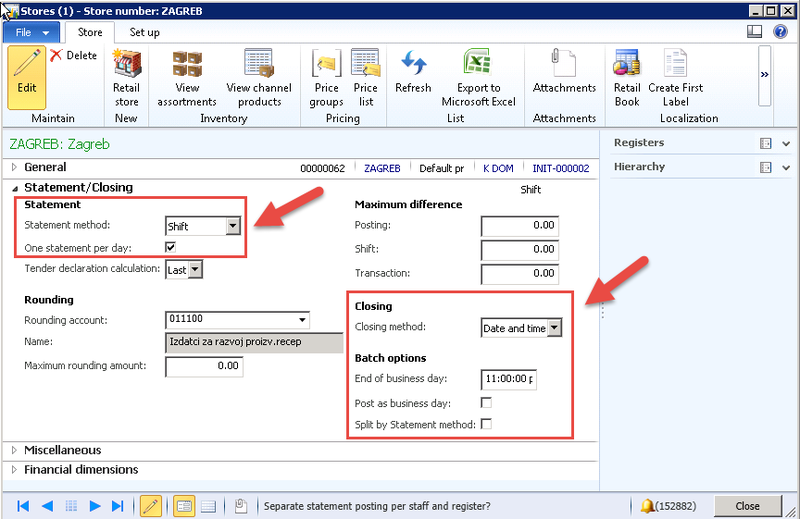 If this parameter is checked the system will create separate statements based on the selected “Statement method”. 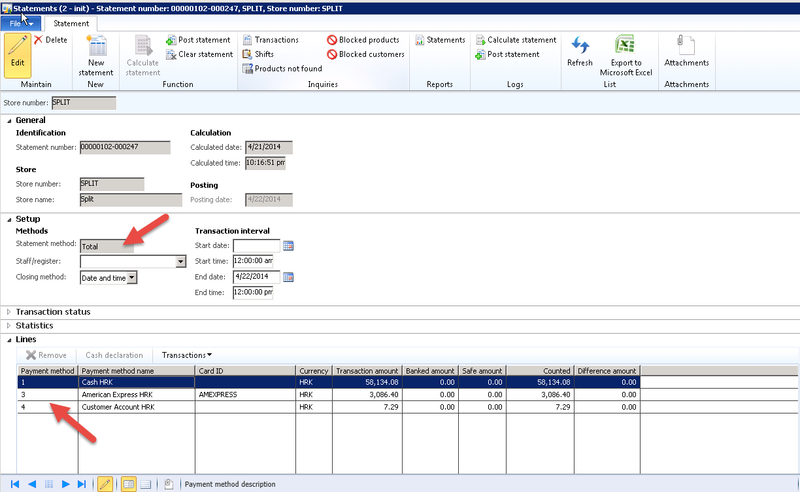 Here is an example of this by using the “Calculate statement” job in the Periodic section of the Retail module. The selected “Statement method” is Shift. After running the job the system made separate statements for each shift. Notice that the system calculated the statements for the whole interval up to today which means there is no start date. If the checkbox is not selected and we run the job again all unposted shifts are pulled in one statement. 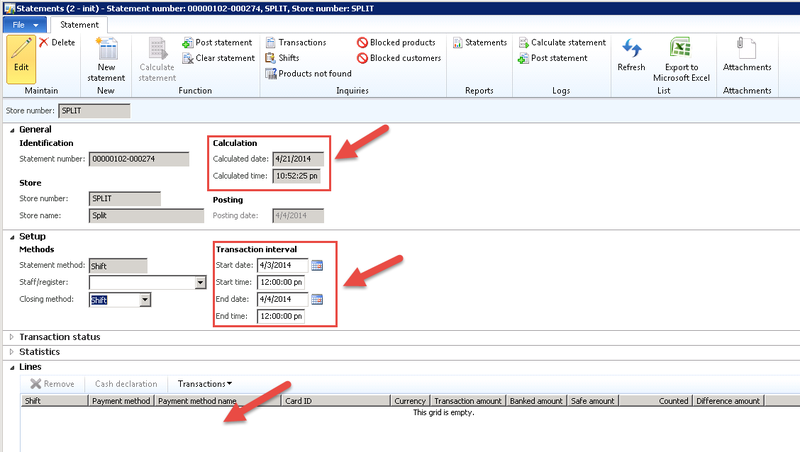 That’s all you need to know about retail statement parameters and transactions grouping. Keep on DAXing! This entry was posted in Retail on 22/04/2014 by jgracak. Reblogged this on AX retail blog. Hi, thanks for a good blog entry. 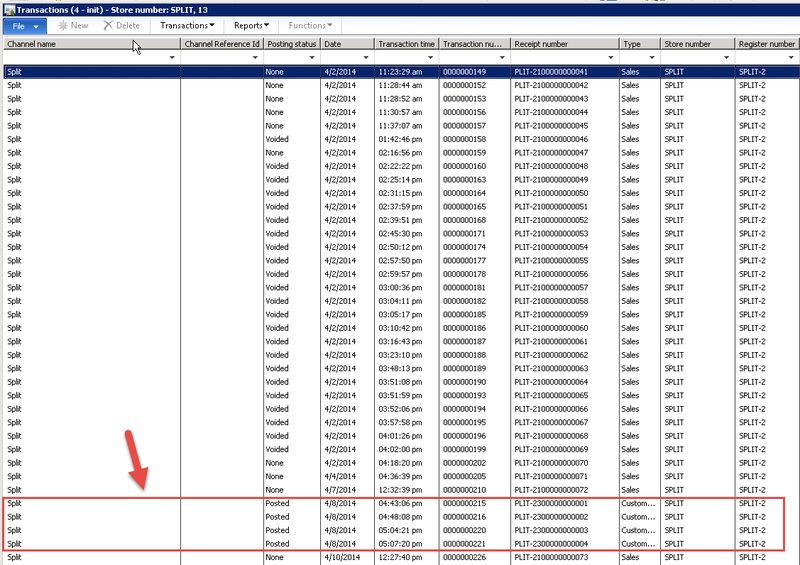 I am interested in the batch creation of statements split by date. Did you have a solution for that? 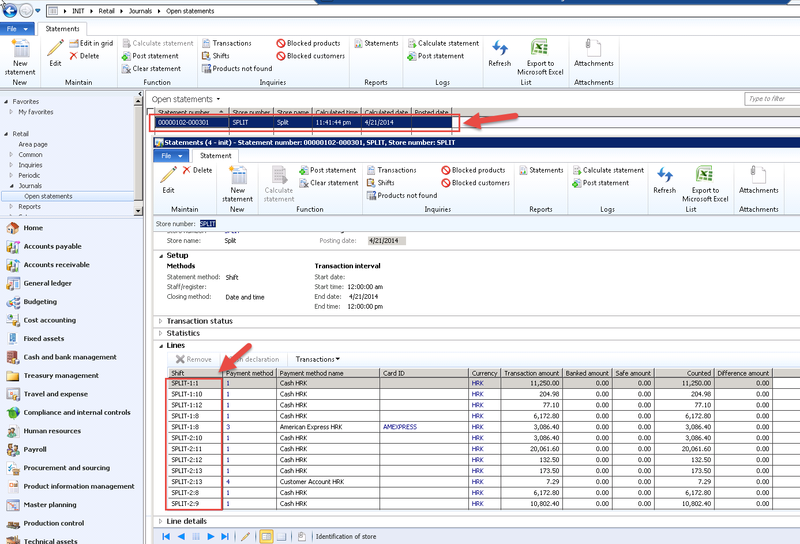 We had several stores running without statements being calculated for a period and I would like to run the calculate statement batch so that a separate statement would be created per date. Thanks for any help. Unfortunately as far as I know you will have to create a custom batch job for that or extend the existing one.